Tübingen is a German university town of 87,544 inhabitants and 28,000 students. The Swabian town offers the spirit of a lovingly restored medieval centre with the colourful bustle and typical atmosphere of a young and cosmopolitan students' place. Tübingen, is a unique place where you can study in a castle. You can choose between archaeology, ethnology and cultural studies in the Hohentübingen Castle, located above the rooftops of the town. The building of the castle began in the 11th century and it was later expanded. Now it represents a mixture of medieval castle, palace and fortress. Students don't study only in the castle, but also in other faculties spread around the town centre. The university was founded in 1477, making Tübingen one of the oldest university towns in Germany. Vast program of events, museums and collections enrich the cultural life of the university town. Internationally respected art exhibitions as well as renowned festivals, concerts, stage plays and readings with poets of international reputation are part of the annual cultural program. 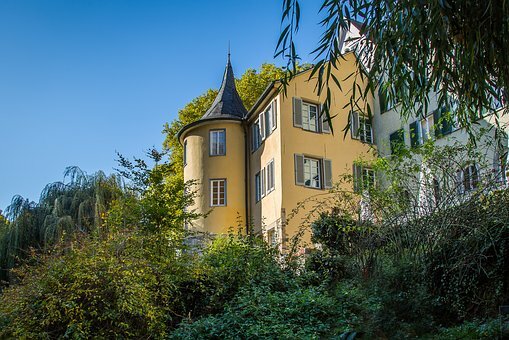 The rich choice makes up an important part of the distinctive profile of Tübingen. The University of Tübingen, public institutions, private initiatives and individuals are all engaged in the numerous cultural activities.